A challenging and pulsating fitness course that can be used for interval training and cardio exercises. With the varied challenges on display, it can even transform into a exhilarating assault course. Let the children set challenges and record their circuit times using the Solar Powered Stop Watch. It's a great way to motivate children to get active, as they will always have a lap time to beat. 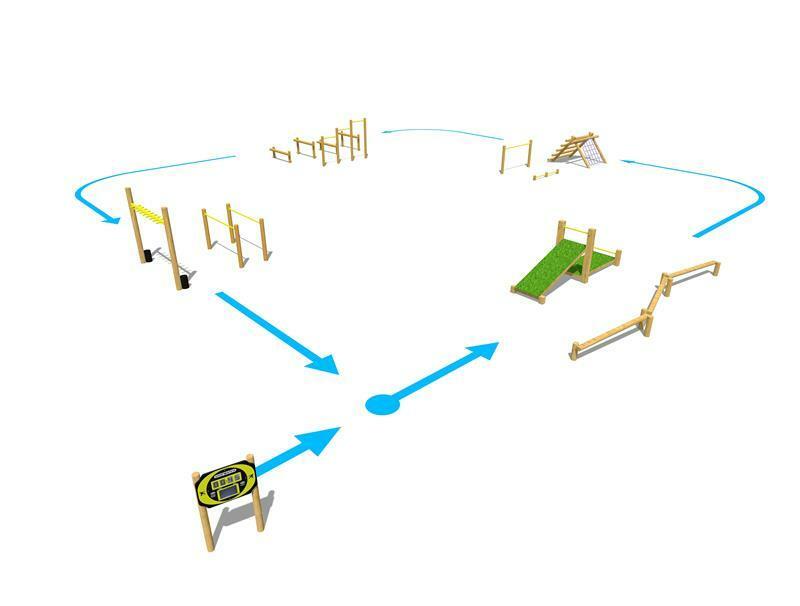 Rather than just running around an empty field, our Fitness and Assault Course will add variation to the challenge and will even engage children who don't enjoy sport or physical activity as much as others.